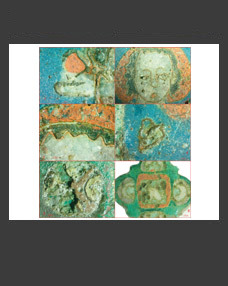 Keywords: Jericho, Late Byzantine/Umayyad period, pottery workshop. The 2017 season of excavations conducted on the so called Russian lot in Jericho since 2010 made it possible to refine the date of emergence of the pottery workshop previously assigned to the end of the Late Byzantine period. 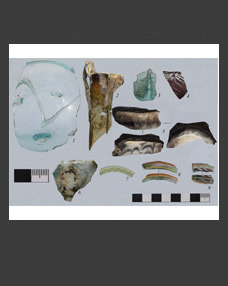 Ceramic assemblage revealed in locus 12 (quarter 8), which formation was connected with the workshop functioning, differs considerably from that uncovered in the Umayyad loci. 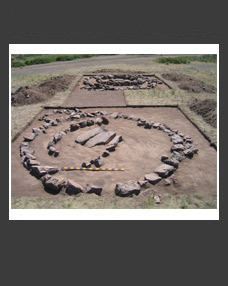 Combination of finds allowed assigning the formation of locus 12 and correspondingly the emergence of the pottery workshop to the 6th (or even to the second half of the 6th) – first half of the 7th century. It functioned during the whole Umayyad period but with some interval possibly caused by its destruction in the 659 earthquake. In addition, 2017 excavations showed that the workshop was built on the empty territory for it stood on the virgin soil. 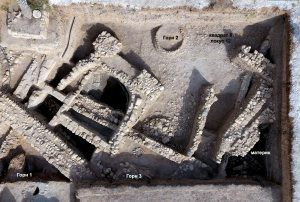 Some single sherds dated to the late 4th–5th centuries allowed for conclusion that the neighboring territory was built up a little bit earlier when Jericho that represented an agglomeration of nonsimultaneous sites situated at the different spots of the Jordan valley moved to the centre of the modern town.